Integrate your smartphone with your car audio system. The MirrorLink in-car connectivity standard introduced by the Car Connectivity Consortium (CCC) lets you connect your compatible smartphone with car “infotainment” systems and compatible car stereos to access certain music and map applications safely and easily. 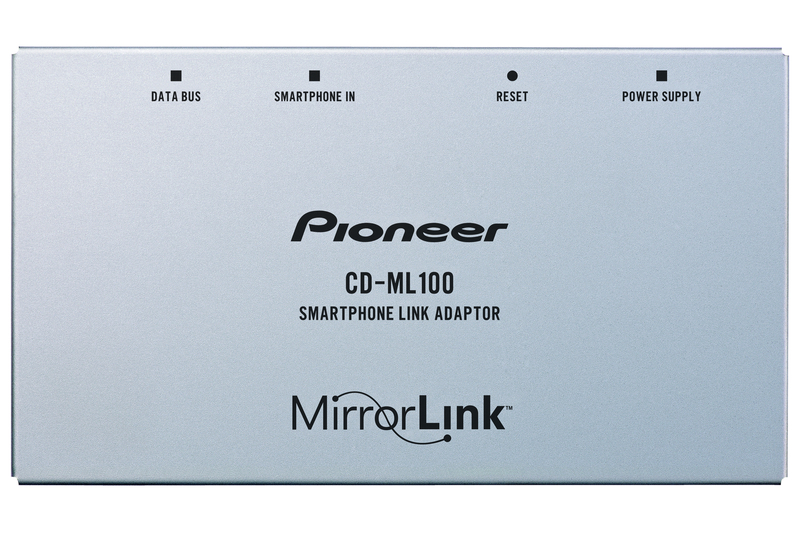 Use the CD-ML100 to connect Mirrorlink enabled phones with the following Pioneer products: AVH-X1700DVD, AVH-X2700BT, AVH-X3700DAB, AVH-X4700DVD and AVH-X5700BT. Go to mirrorlink.com for more info.